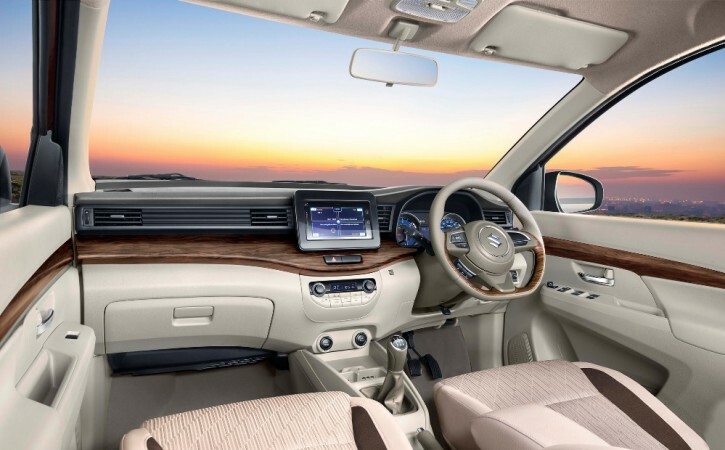 The second generation of the Ertiga has grown in dimensions, adopts new platform and engine, and it looks much more premium than the first generation model. Prices for 2018 Ertiga starts at Rs 7.44 lakh (ex-showroom). Ertiga is one of the very few MPVs that kept good sales despite the onslaught of compact SUVs in recent years. Launched in India in 2012, Maruti Suzuki had given a mild facelift to the MPV in 2015. The ageing is now more evident with the arrival of new rivals like Mahindra Marazzo and the new Datsun Go+. The best thing to do is to give a makeover and Maruti Suzuki has done that. The carmaker launched the second generation of the Ertiga on Wednesday. The popular MPV has grown in dimensions, adopts new platform and engine, and it looks much more premium than the first generation. Let's take a closer look. Maruti Suzuki offers the new Ertiga in 10 variant options and ex-showroom prices are as follows. 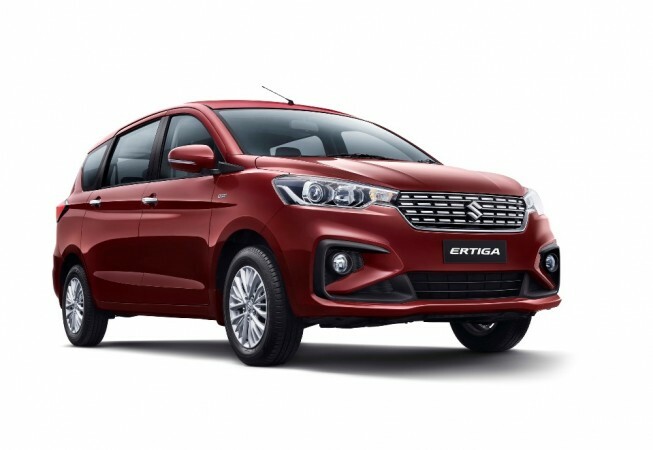 The new Ertiga is based on the Heartect platform that also underpins new generation cars of Maruti Suzuki cars in India, including the Swift, Dzire, Ignis and Baleno. Adoption of the new platform makes the MPV 10-20kg lighter than the outgoing model. The 2018 Ertiga is longer than its predecessor. In its latest avatar, the MPV is 4,395mm long, 1,735mm wide and 1,690mm tall while wheelbase remains the same at 2,740mm. The new Ertiga gets a massive redesign while the basic MPV silhouette remains unchanged. Chrome bathed new front grille and new projector headlamps have an integrated stance. The redesigned front bumper with black inserts adds a sporty touch as well. Sculpted side and rear profiles with crease lines have been done tastefully. At the rear, the new D-pillar and L-shape tail lamps add liveliness to the new Ertiga. 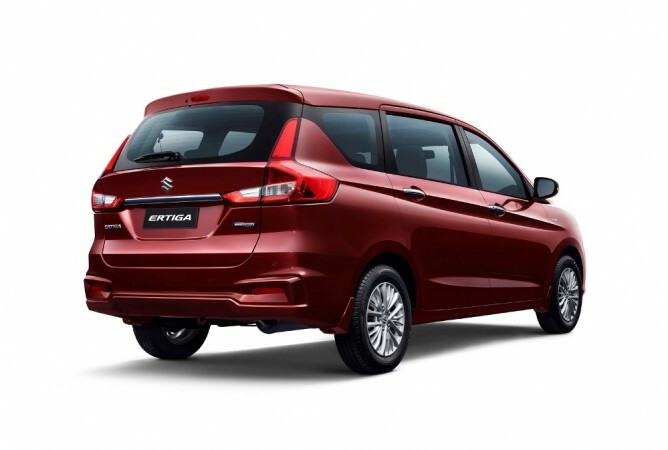 The new Ertiga is available with a new colour christened Auburn Red in addition to the existing four colour options- Metallic Magma Grey, Pearl Metallic Oxford Blue, Pearl Arctic White and Metallic Silky Silver. The new Ertiga is offered in petrol and diesel engine options, both with SHVS mild-hybrid technology. 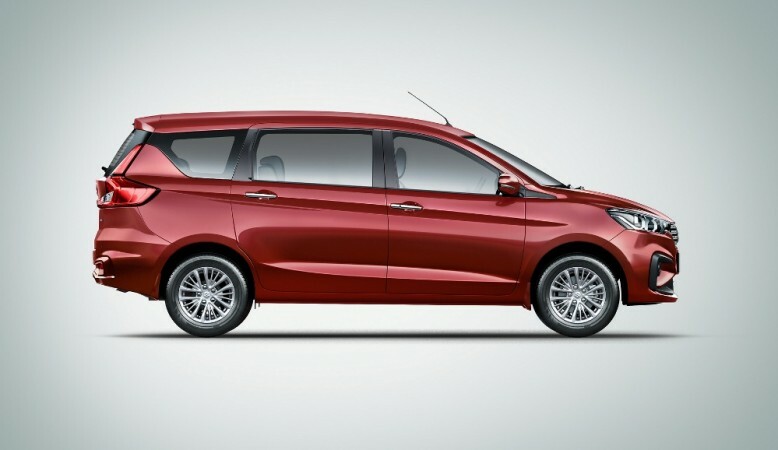 The MPV gets new 1.5-litre petrol engine (debuted with new Ciaz) in place the older 1.4-litre motor. The mill develops 103bhp of peak power and 138 Nm of peak and transmission options offered are 4-speed torque converter automatic and the standard 5-speed manual transmission. The diesel mill is the same 1.3-litre motor that makes 89bhp of peak power and 200 Nm of peak torque. It will be offered only with a manual gearbox. The inclusion of SHVS mild-hybrid should make the new Ertiga more fuel efficient.